Silhouettes and cartoon images of bats are common sights as Halloween approaches. At a time when local bat species are beginning their hibernation or have already migrated, these illustrations portray a simple version of one of nature’s most complex mammals. Bats might seem spooky at first, but they play a vital role in the ecosystem and provide many benefits to people. The real horror story bats have to offer is a tale of disease. In 2006, a European fungus called white-nosed syndrome was accidentally introduced to a bat population in New York. According to the Canadian Wildlife Health Cooperative, white-nose syndrome has spread at a rate of 200-250 kilometers per year across neighboring states and into Canada. Millions of bats have died due to the effects of white-nose syndrome infection. One bat species that has been hit particularly hard by white-nose syndrome is the Little Brown Bat. Before 2006, this was the most abundant species across North America. With the loss of an estimated 7 million Little Brown Bats and a birth rate of one pup a year, a population recovery for this species will be an uphill battle. The ending to the bat’s tale has yet to be written. To date, there is no cure or way to contain the white-nose syndrome. The Canadian Wildlife Health Cooperative estimates the disease may affect the entire Canadian bat population within 12-18 years. The Georgian Bay Biosphere Reserve is undertaking a two-year research and outreach project targeting endangered bat species. With support from Ontario’s Great Lakes Guardian Community Fund, bat houses were installed at Waubuno Beach & Park in Parry Sound and Britt Public School. Volunteers will monitor these bat houses for bat presence in the spring and summer. 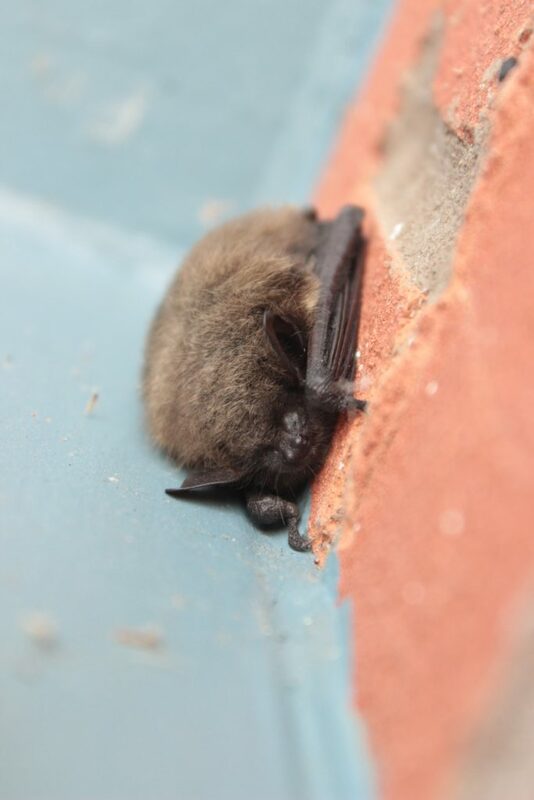 To report bat sightings or share information on bat house locations, please contact Delaina at [email protected] or 705.774.0978. More information on bat house blue prints and local bat species is available at www.gbbr.ca under the title of Conservation > Species at risk.